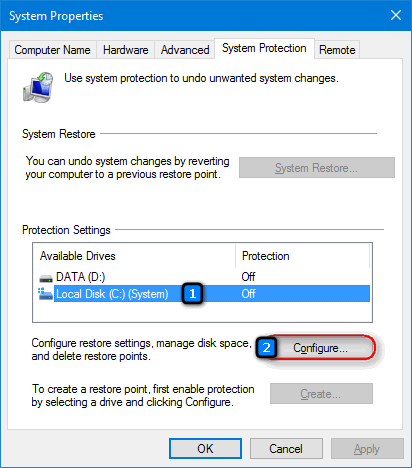 System restore is often disabled by default in Windows 10. System restore is being turned off after you install updates for Windows 10 or upgrade to WIndows 10. 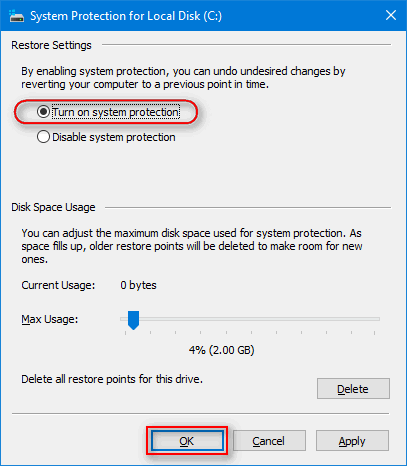 Here is how to turn on system protection in Windows 10 to be able to create restore points and restore your system to the previous state. The esiest way to do it is to press Win+Break. Step 5. Click “OK” to save settings.